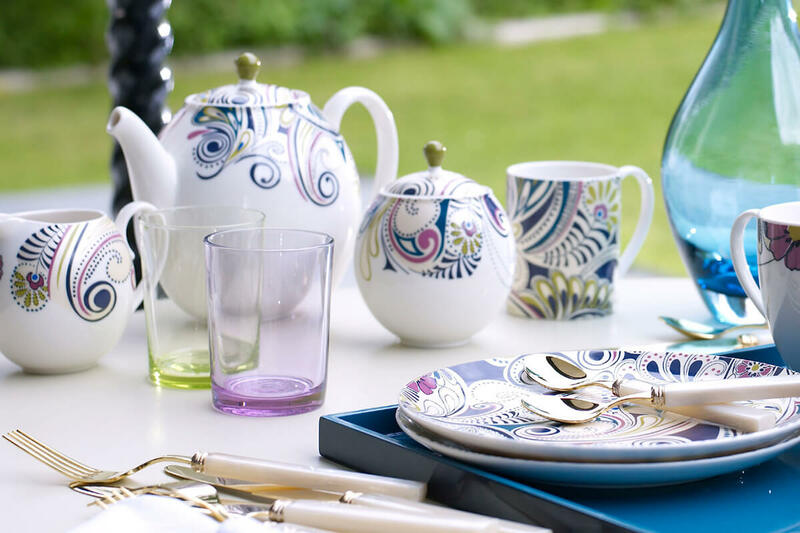 Finally, the weather has improved over the past couple of weeks so it’s time to take the garden furniture out, decorate the garden and enjoy summer garden parties with friends and family. Each year I try to create different summer moods for our table and so I’ve been looking around for new dinnerware. 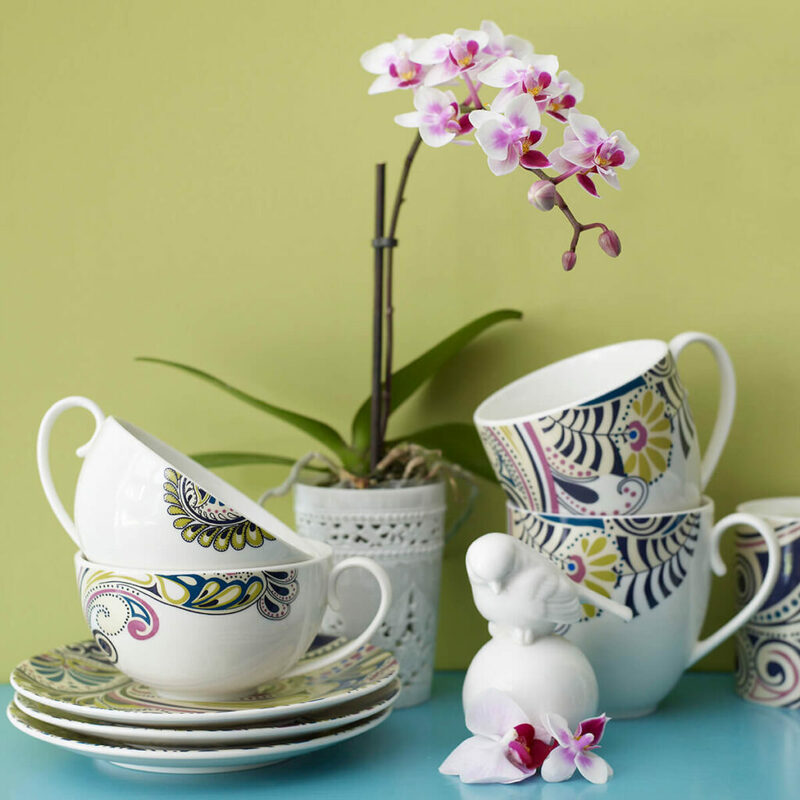 Yesterday the new Monsoon Home collection from Derby was brought to my attention and bingo!! They just released 5 new ranges but this one, called Cosmic, is my absolute favourite. 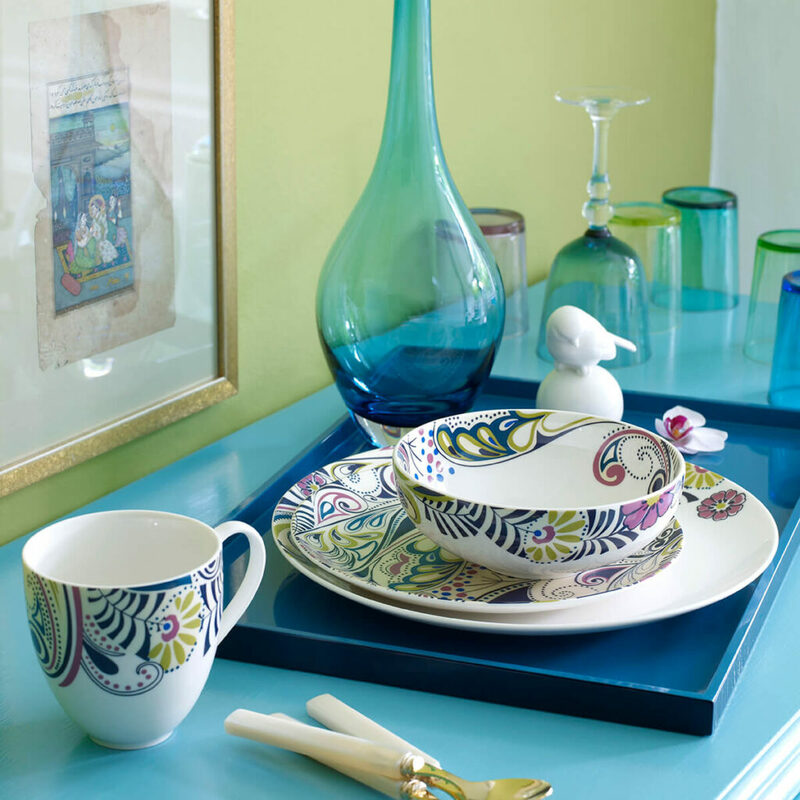 Maybe it’s because I’m always drawn to more complex pattern and colour combinations that are clean and sophisticated. Who knows? But that’s exactly what this collection is about. They say..
Cosmic features a contemporary interpretation of a paisley print to bring a taste of the outdoors to the table. 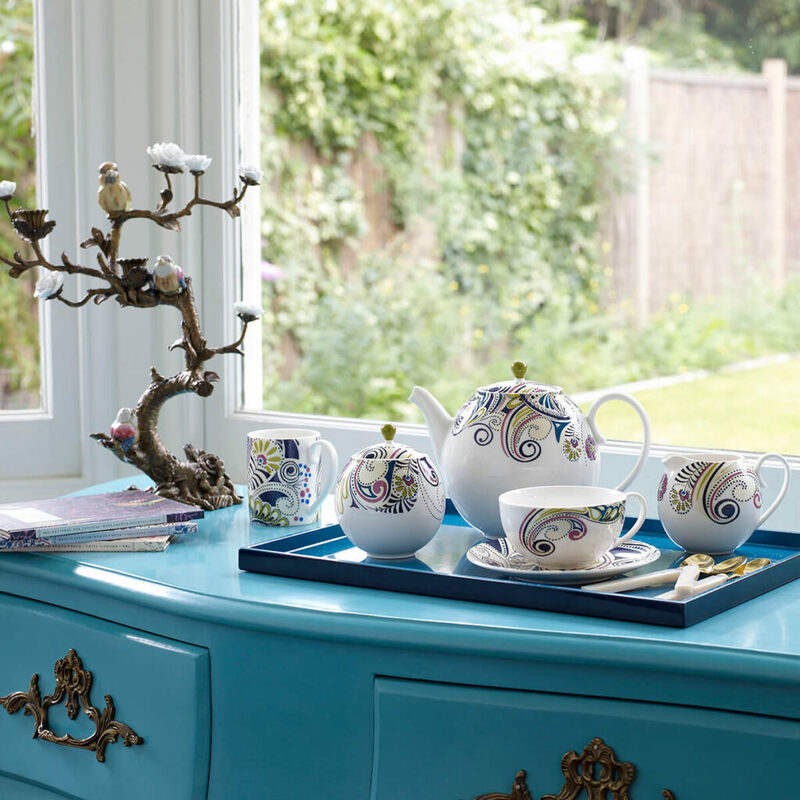 Colours of deep blue, teal, mauve and lime pop against soft metallic highlights across fine, soft cream china. 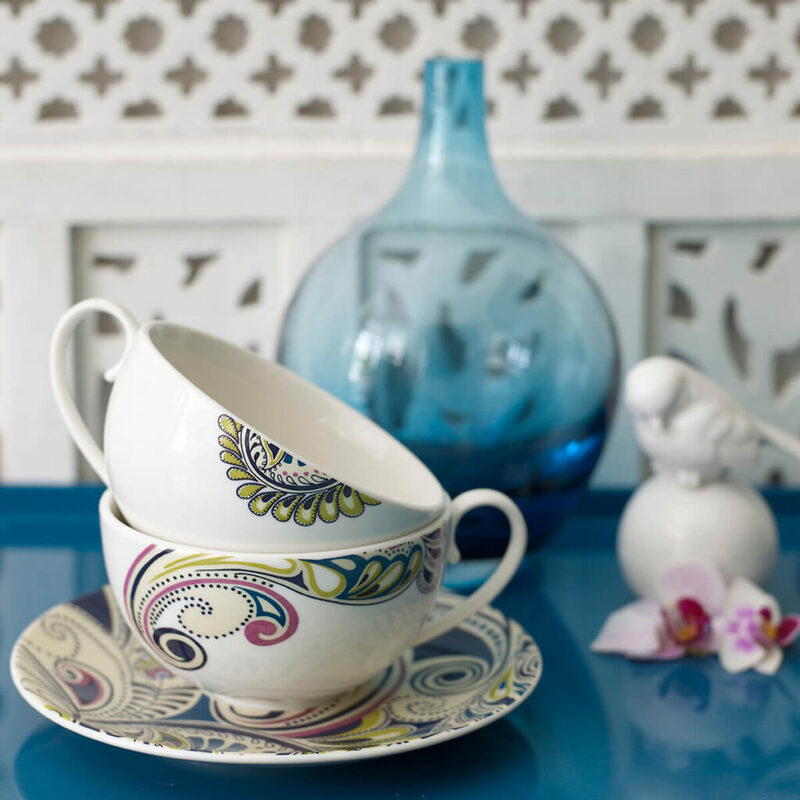 Taking inspiration from Monsoon’s bohemian style and influence, this versatile collection is an ideal gift as well as a stunning addition alongside existing homeware.